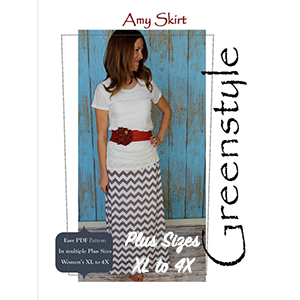 Super quick and easy Maxi skirt pattern and tutorial with chevron and regular fabric options are included. 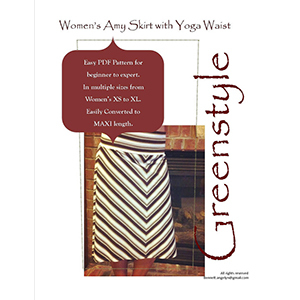 This is for stretch knit fabrics like a jersey knit in either stripes, for that popular chevron look, or regular options. Estimated about 20 minutes of sewing time! Sizes XL (16) to 4X (36-38W). are included. Requires from 2 1/2 yards to 4 yards of fabric depending on your height. Set-in waistband. Note: Waist Measurement at about 3” below belly button.